Bags of shoes are carried to the WaterStep truck Mar. 28. Toussaint House and the Trinity community teamed up with WaterStep to collect shoes — and in the process experienced tremendous success. 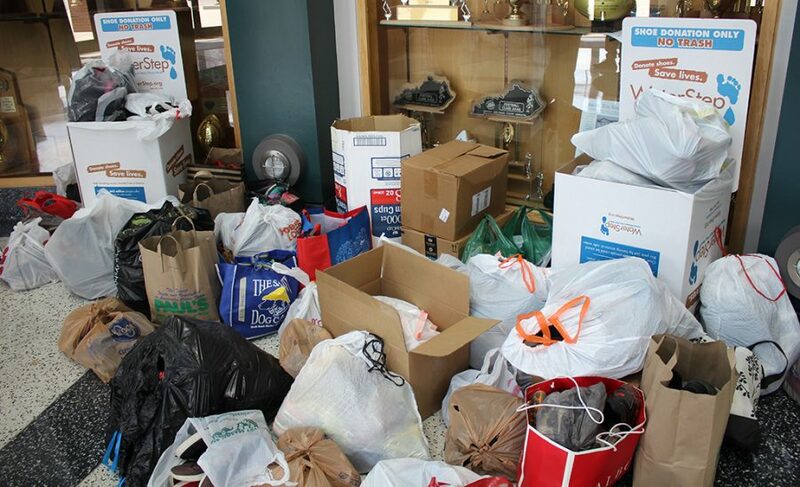 More than 1,000 pounds of donated shoes yielded more than $7,000 for the WaterStep cause. According to Dr. Aaron Striegel, Toussaint director, “the shoes are sold, and profits are used to purchase water purification systems to provide clean drinking water for people around the world. Toussaint House coordinated a WaterStep drive to raise funds for clean drinking water in various parts of the world.